Here are some of the most common questions we receive at Team Bottles. If you do not see your question here, please contact us using a Support Ticket Request Form. We monitor these closely and will respond promptly. What Logo Files Work Best? We get the best results from vector files: .AI, .EPS or .PDF versions of the logo are preferred. Do not be concerned if you cannot open the file, it may require special software. Or send the artwork used to produce uniforms. If you cannot find any of these files, up-load what you do have and we will let you know if we have questions. What if We Don't Have a Logo? Our designers can create a unique and personalized emblem for your organization. You will own the artwork and can use it for other projects. Please complete a Support Ticket Request Form describing your goals and a designer will contact you. For $25 we will present two options and make one revision to one of the designs. Additional revisions can be made for $10.00 each. No, you may order one bottle or enough for the entire team or association. Don’t forget the coach! Yes, please complete a Support Ticket Request Form and note what product(s) you are interested in for quantities of 100 or more. How Can I Use Team Bottles Products as a Fundraiser? Our products make great fundraisers! For example, you can buy a bottle for $12.75 and sell it for $15 to $20 each. Or team logo magnets that cost $4.15 each sell for $6.00 or more. Identify what items you feel your oraganization would be intersted in and complete a Support Ticket Request Form. We will create a custom, professional proof you’re your group with the selected items. Generally we SHIP within 3-5 business days from receipt of your order and payment, except for custom mouth guards. Total time to you depends on UPS/USPS and how far you are from Minnesota. Rush orders are can be accomodated, however expediting charges will apply. If you need your items for a specific event please note that when ordering and we will do our best to meet your goal or inform you if expediting is required. Yes orders can be expedited. There will be additional fees for this service. Please complete a Support Ticket Request Form with the details and we will calcualte and advise you of the cost. Will You Ship to Canada / Outside the Continental US? Currently we only ship within the Continental US. Can I Run the Bottle and Top Through the Dishwasher? Yes, our bottles are dishwasher durable and have been tested in an industrial dishwasher. The tester ran the bottle through more than 100 cycles without issue and has re-ordered several times. We do recommend using the top rack for both the top and bottle. Do you keep our organization's information on file? Yes, we retain logos, past proofs, and order details for future and repeat orders. These are some of the reasons we require that an account be set up prior to requesting a proof or placing an order. We accept checks, Visa, MC, AMEX and Discover. Payment is required before items are produced. Can I Pay With A Check ? Yes, you can pay with a check. Unfortunately you can not do so online. You will need to order with an excel order form. You can contact Finn@Teambottles.com to ask for a form. Minnesota customers are subject to sales tax. If your organization is sales tax exempt, please upload a copy of the TE form when you set up your team account. Can I Buy Extra Tops? Yes, they are $2.50 each. What is Team Bottles Return Policy; What if I’m Not Happy With My Item? We strive to deliver high quality custom products to you in a timely manner. We understand that you may feel that the item delivered is not exactly what you expected. If the issue is not due to a misspelling and you are not satisfied with your order, please complete a Support Ticket Request Form within 7 days of receiving your order. In the event that a Team Bottles’ error is found, we will reprint and ship the item(s) at no cost. If you believe your order was not produced as instructed, let us know and we will resolve the issue. Due to the customized nature of our products, all sales are final and items cannot be returned. We do pre-inspect each bottle before shipping. Bottles dropped on hard surfaces, such as ice rinks or asphalt / concrete are very prone to splitting. Our bottles will not withstand being hit with sport sticks or racquets. Such incidents will not be considered defective bottles. Do I Need To Set Up An Account To Request A Proof or Place An Order? Saves time: you only need to enter some information once and keeps your team roster and logo linked in our system. Saves your work: rosters, proofs, past orders are all organized and linked to your team account. View Your Order Status and History: Comes in handy when you want to re-order or check up on a confirmed order. 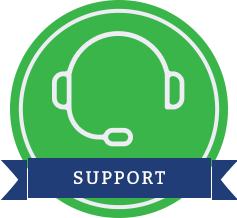 Helps Us Help You: If you ever have a question or concern about an order we can assist more quickly with a registered account. If you are transferring a Team Account to a new owner, they will have access to all of the history. How Do I Transfer a Team Account?